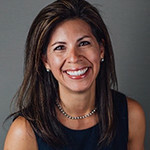 Adrianna Cantu is the co-founder and CEO of Revealix, a digital health company developing imaging software to revolutionize how diabetic limb complications are monitored and prevented. Adrianna is an experienced industry healthcare executive, board certified in wound care. Revealix aims to solve the inherent problem of subjectivity and inefficiencies in routine skin health assessment, a barrier to operationalizing and scaling clinical best practices in healthcare. Adrianna’s passion for her industry fuels Revealix’s mission of Simply Saving Limbs. Prior to Revealix, Adrianna was an early member of a fast-growth medical startup, AMT. There she created an operational infrastructure and talent development system to drive positive clinical outcomes and rapid organizational growth. Adrianna’s leadership throughout her tenure accelerated her ascent within the company to VP of Clinical Operations. At the time of her departure, Adrianna led a team of 200 clinicians in a $100M operation.